When the original Transformers raked in a ton of cash back in 2007 there was a blitz of studios picking up board games and toys in an effort to get franchises out of them. So far, only G.I. Joe has gotten off the ground, and Battleship made it out the gate and is waiting on deck. Candyland, Clue, and most bizarre of all Ouija were picked up for development, and Vulture is reporting that Universal is having second thoughts about a film based on the board game eleven year old girls use to ask spirits if the boy they like will hold their hand. Universal has officially passed on the project that would have been produced by Michael Bay and McG, and rumor is that Paramount has passed as well. Bay and McG can shop around to other studios, but when this happens a project usually withers on the vine. Honestly, I think we all should send Universal a thank you note. 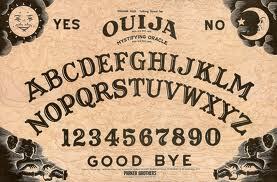 Comments for Universal Quits “Ouija” Movie are now closed.